Designed with style in mind, Crown bases oozes sophisication and matched with any of our bedheads gives you a total bedroom solution. Opt to have it empty to hide your adjustable base or add our solid timber slats. 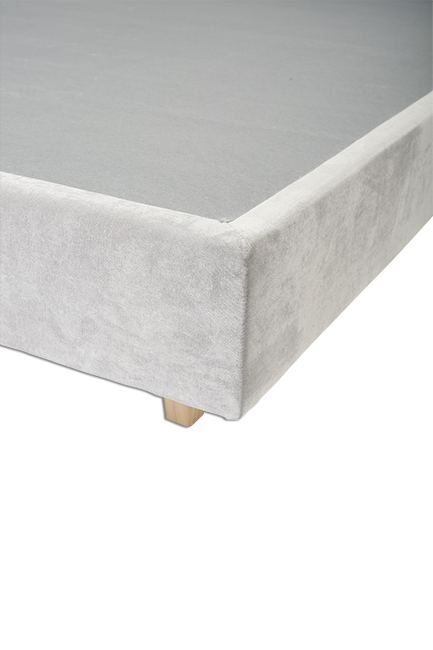 Our Designer base is made in Australia and is a stunning addition to a Crown Designer Bed Head. Featuring sustainable kiln dried timber slats, this base can be upholstered in any fabric of your choice.. Available in any drawer configuration from no drawers to 4 drawers. King base is split North South. The Drawer Base serves as a great way to store your everyday goods, the flexibility to custimise your preferred colour fabric, Made in 2 pieces. (east-west split) to ensure easy transportation. Option for no drawer, 2 drawer or 4 drawer option. The Crown Bases can be matched with any CDC Bed Head.